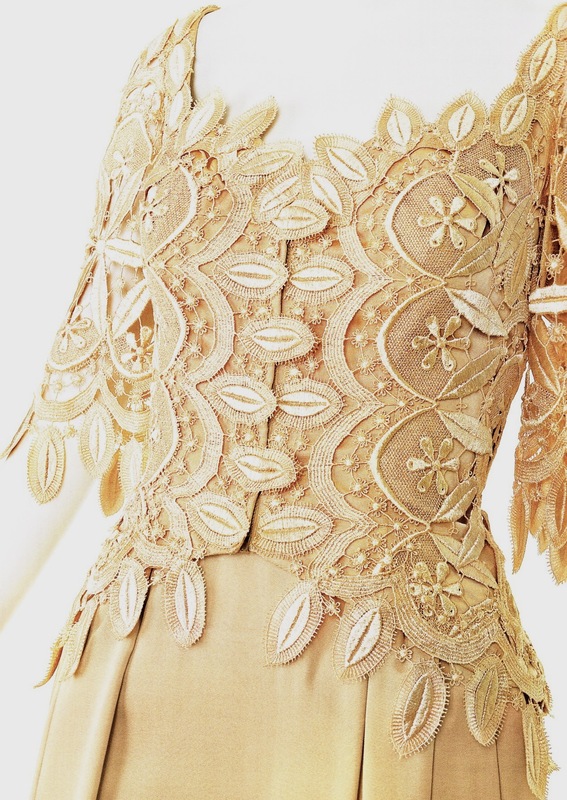 Blocked dress attributed to Ungaro. My two favourite colours ever. 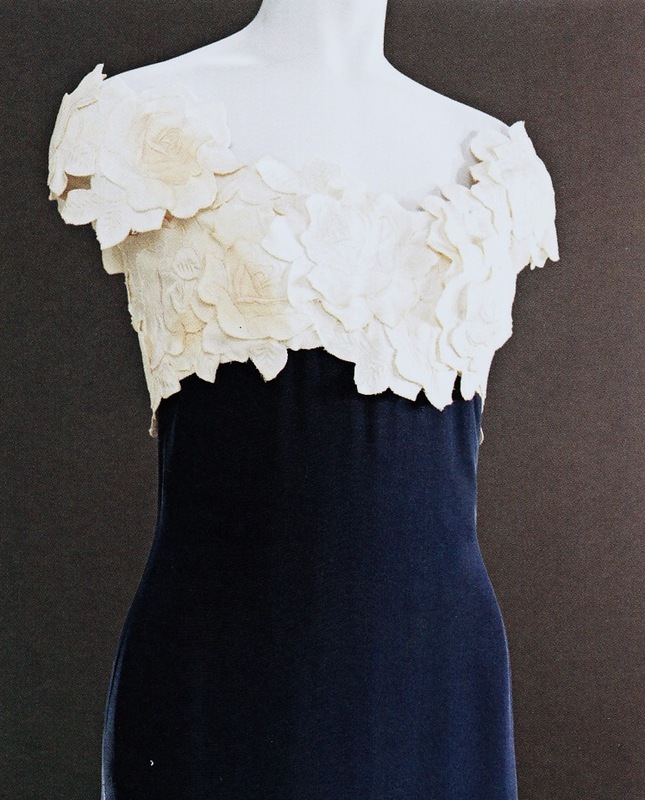 Victor Edelstein gown, navy silk and white pique with embroidered flowers. 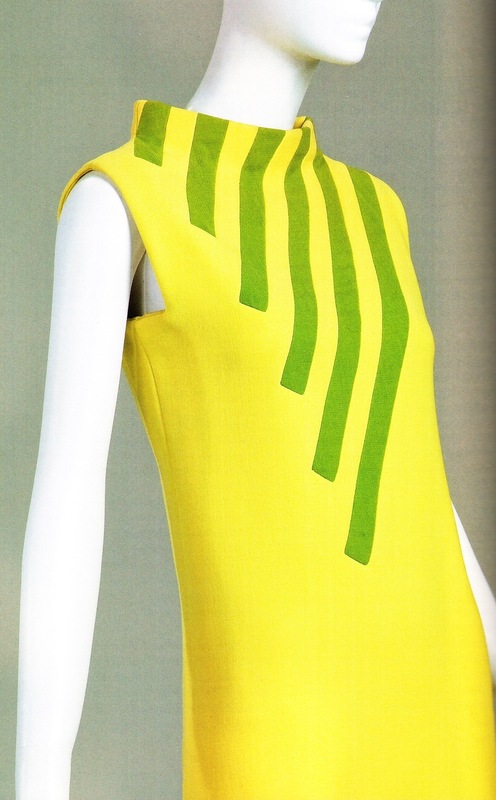 Ties with the Ungaro dress for my favourite in the book. Hanae Mori evening gown. I love the abstractness of it. Something a little more classic for those of you still pining for the good old days (don’t get too excited it’s only from the 1950s). Not so much my thing (I like my lace put together a certain way) although I can see the allure. Like it? To participate in this giveaway, leave a comment on this post and on any other post(s) in this blog. 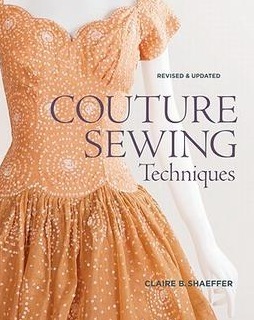 Giveaway ends on the 31st of May, 2012. Best of luck! Oh- and I’m having a bonus May giveaway here courtesy of dashingmarmot.